This message appears whenever I update my maven project in eclipse with the command ‘Maven->Update Project’. I figured out now, that the reason for this message is a JarModule configuration in the pom.xml file of my EAR project. The Eclipse Maven plugin is simply unable to handle such pom files. 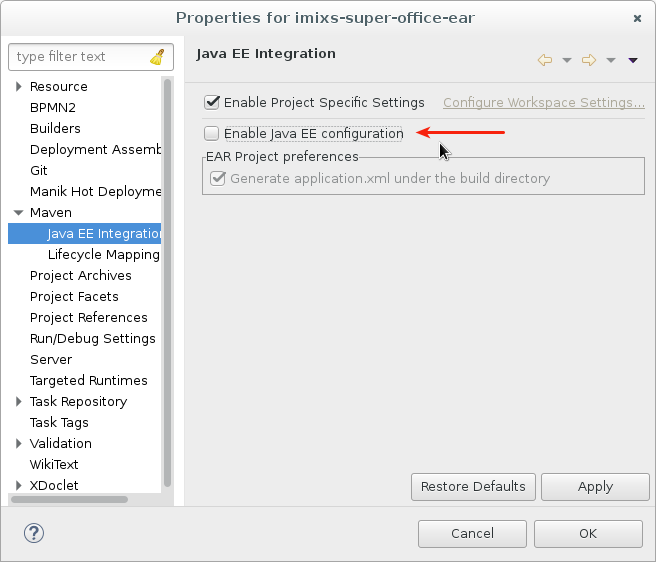 The solution seems to be quite simple: Open the workspace preferences dialog and just disable the option “Maven -> Java EE Integration -> Enable Java EE configuration”. It is also possible to disable this option not for the complete workspace but for the affected EAR project. 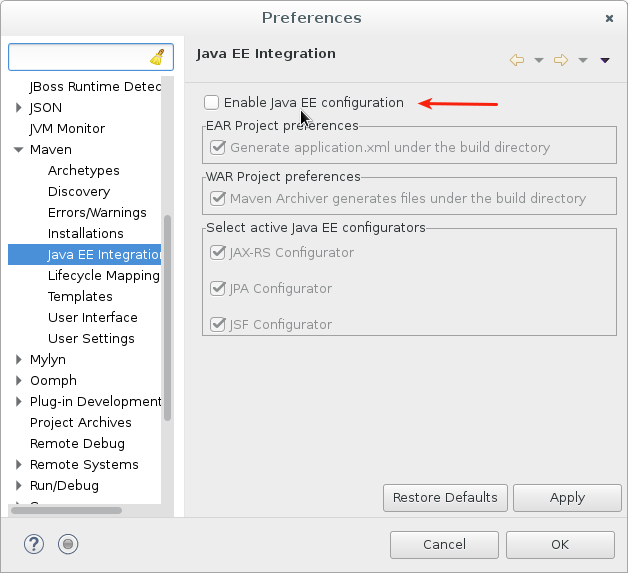 In this case you can enable the Project Specific Settings, and disable the ‘Java EE configuration’. 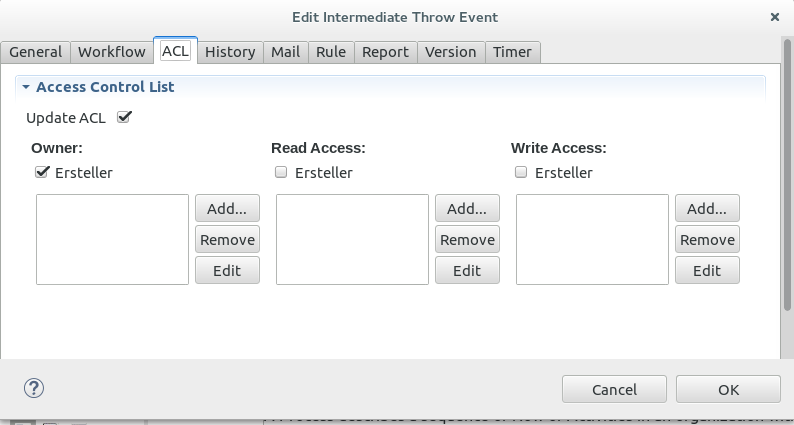 So you can use the Maven Java EE Integration still for other modules (e.g. Web, JPA). I have tested this with the new Eclipse Neon release. Eclipse Mars is a great IDE which a lot of performance improvements against older versions of Eclipse. But I still have in some workspaces the problem that my Eclipse IDE hangs during validation of XML files of my Web Projects (e.g. web.xml or faces-config.xml). 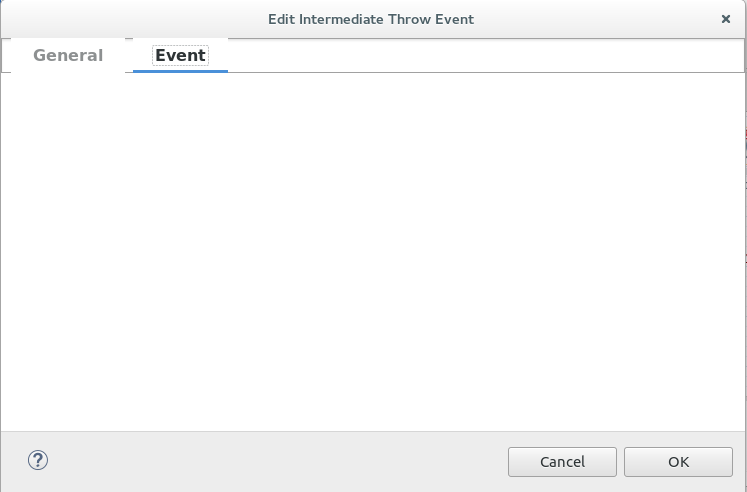 This problem is well known for the Eclipse IDE. 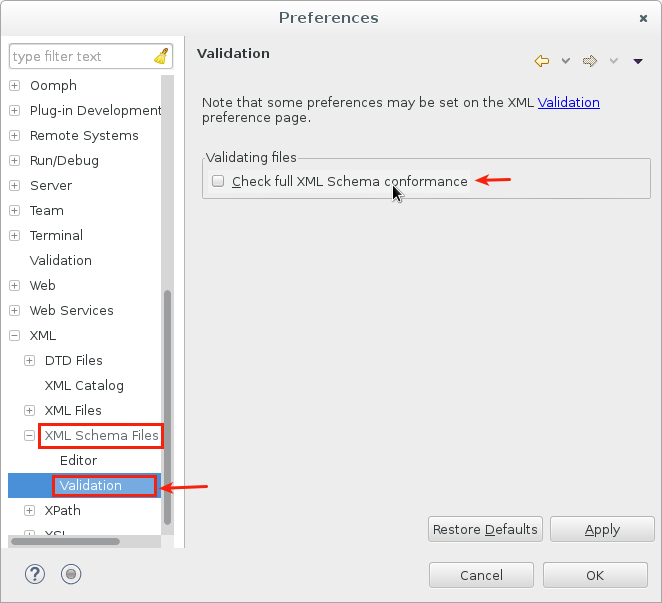 To solve this problem in Eclipse Mars it is sufficient to disable the Validation of “XML Schema Files”. 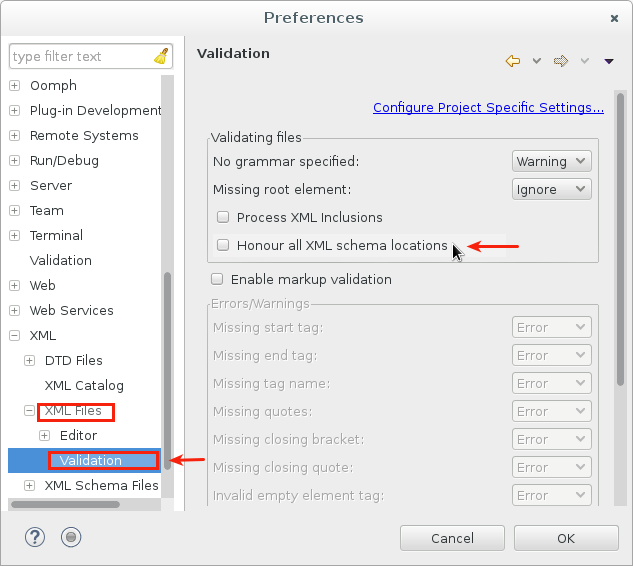 and also disable the Option “Honour all XML schema location” for the XML Files validation. If you disable this options, Eclipse will be faster after updating xml files. 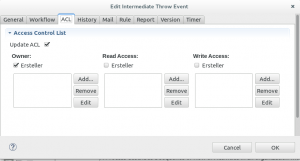 Extending Eclipse BPMN2 Plugin – Part I. In this tutorial I explain some of my experiences in extending the Eclipse BPMN2 Modeler with custom elements and properties. I am extending the BPMN2 Modeler to provide a custom BPMN runtime extension for the Imixs-Workflow Project. You will find the results of this project here. After some updates in my Debian/Jessie installation I run into a strange problem with Eclipse. 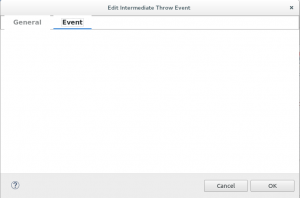 When I start Eclipse first everything looks fine, but in the moment I use some type-ahead features or browsing classes or methods in a java-file Eclipse crashes without any error message. Maybe the problem is related to an update in libwebkitgtk-3.0.